Poster sessions allow for greater audience engagement than traditional papers or lectures. On a poster, your questions, methods, and conclusions can be highlighted and therefore absorbed at every person's individual pace. 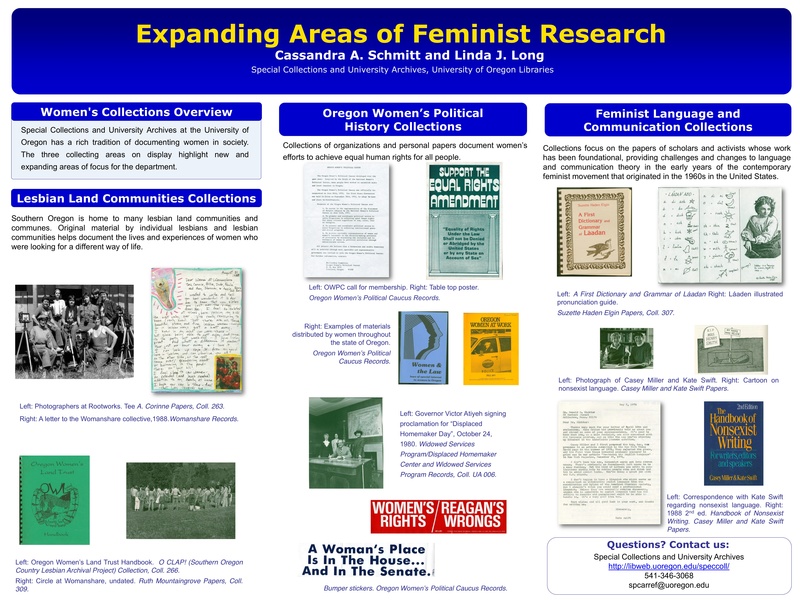 Posters also promote conversation between researchers and audience members. Guests will walk around the hall to view each of the posters. Students should be prepared to give brief (one-minute) talks about their research, to engage audience members, and to answer their questions. Avoid jargon. Use language that is as clear as possible so you can reach a broad audience. Use visuals. Provide images and figures that will draw your audience in. Use large font and colors that are easy to read. Your audience should be able to read your content while standing at a comfortable distance from the poster. This also means you'll have to limit the amount of text on your poster. Short text pieces are easier to understand than long stretches of text. Remember that your poster should not stand in for you! It should highlight key concepts, questions, and findings. You should still be counted on to expand upon your research. Most students have their posters printed at Metcalf Copy Center. Unfortunately, the Dean of the College office is not able to fund poster printing. If you cannot finance the printing of your poster from your summer research stipend or salary, we recommend discussing options with your faculty advisor/collaborator and or department administrator.